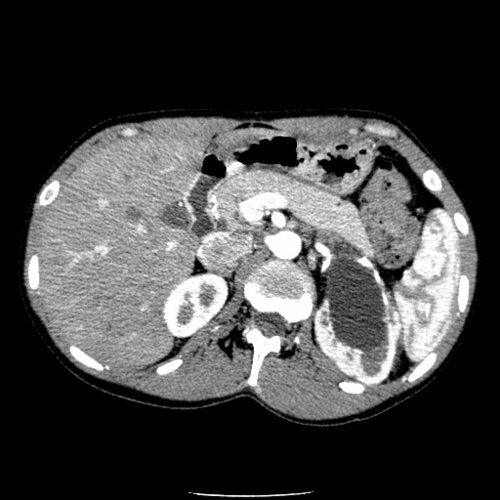 Mesenteric and intra-abdominal arteries, including celiac, superior and inferior mesenteric, and renal. 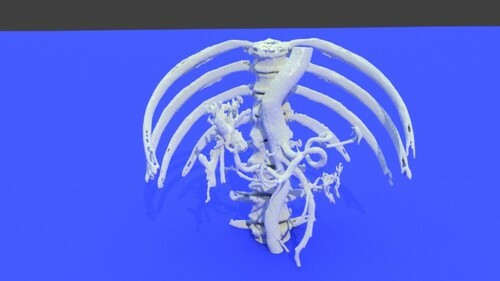 This 3D printable STL file of the abdominal aorta and the mesenteric arteries, including the superior mesenteric artery, celiac artery, inferior mesenteric artery and renal arteries was created from a CT scan. 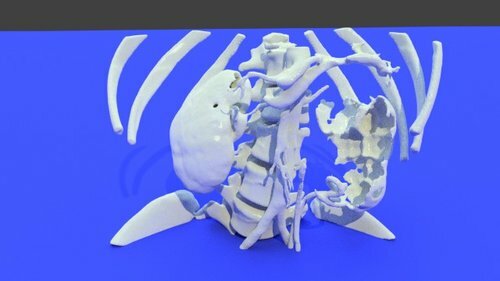 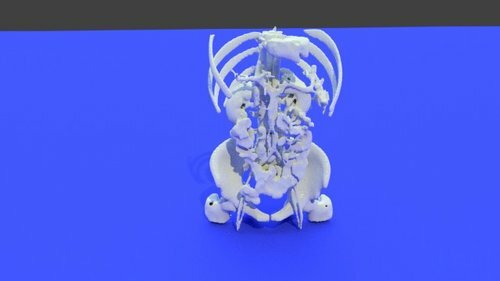 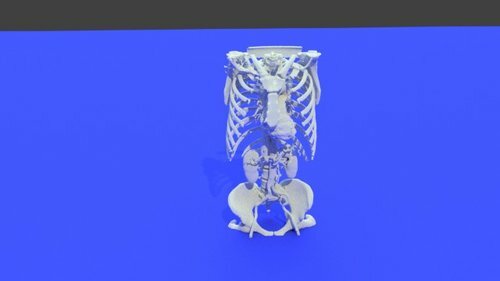 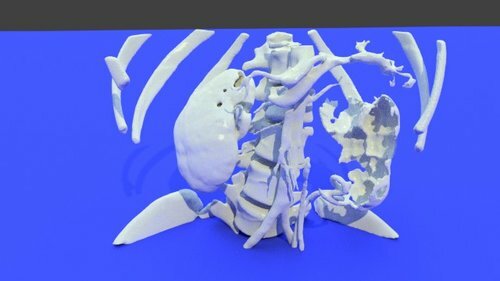 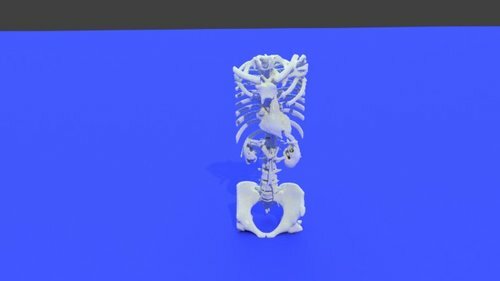 This 3D printable STL file generated from a CT angiogram shows the abdominal aorta and its relationship to the spine. 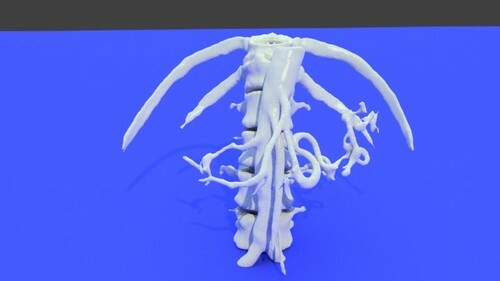 Also shown are the mesenteric branches: celiac artery, splenic artery, hepatic arteries, right and left renal arteries, and inferior mesenteric artery. This 3D printable STL file of the splenic artery shows three aneurysms. 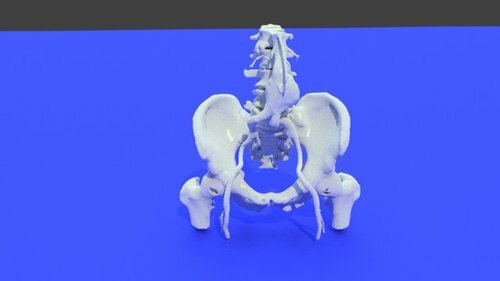 This model was created from a CT scan and used in pre-surgical testing. 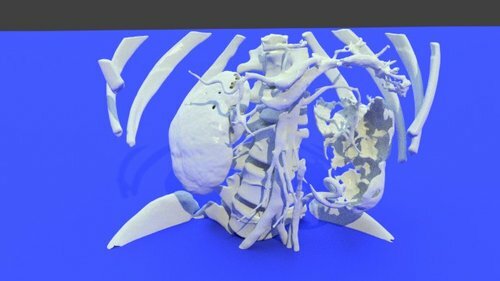 It accompanies the blog article Saving a Spleen with 3D Printing: Pre-Surgical Planning with Medical Models make "Impossible" Surgeries Possible. 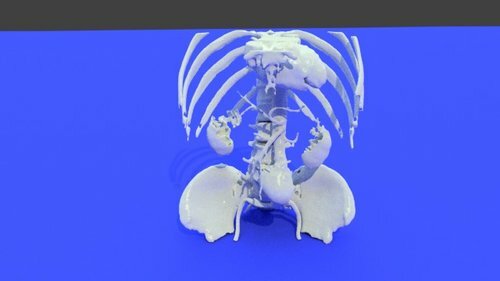 The file is distributed under the Attribution-NonCommercial-NoDerivs license. 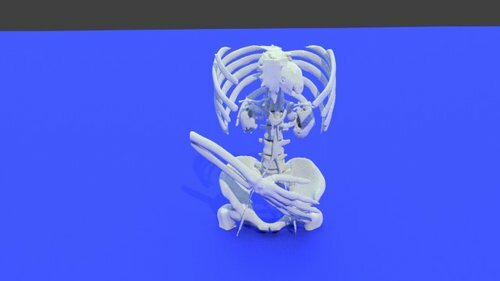 If you wish to use this file for commercial purposes, please contact the author.